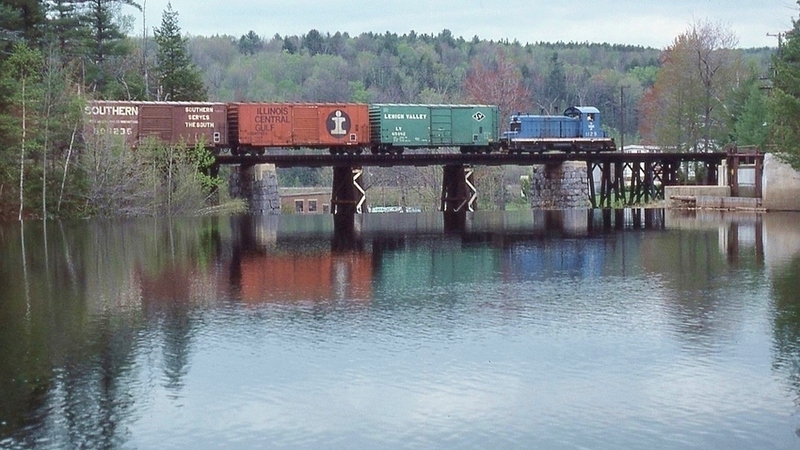 The Hillsboro Branch local is crossing the Contoocook River. Photographed by Ken Patton, May, 1977. Vintage 40 ft boxcars , in repaint colors and photographed before graphiti was "invented " Gotta love it !! !